Why become a sponsor at Game Connection Europe 2018? Get your brand in front of renowned industry experts looking to find new products and services to help them achieve their business goals. 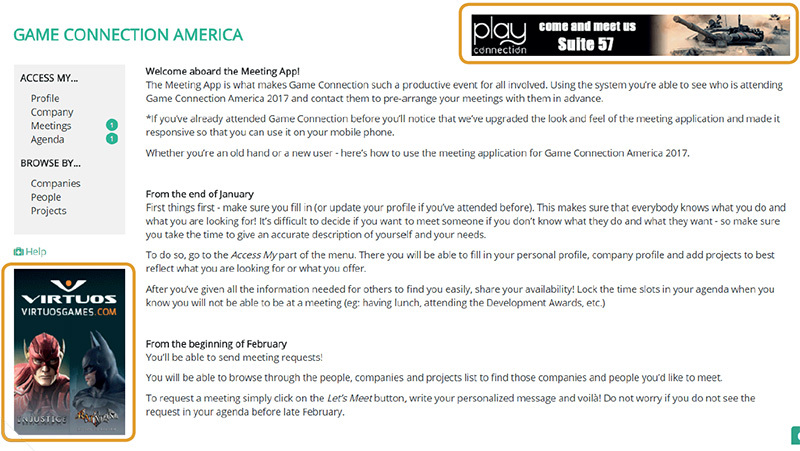 Promote your presence at Game Connection and get more meetings with qualified prospects/potential partners. 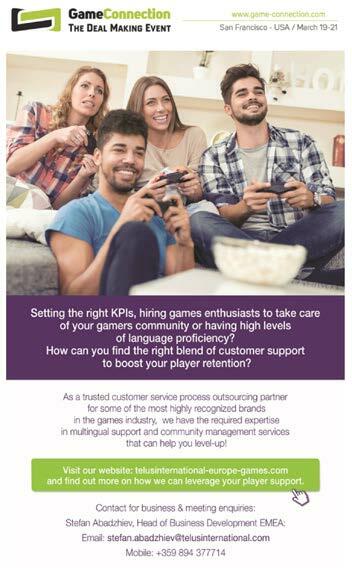 A customized message about your company that will be sent to our entire database of senior decision makers in th video games industry or to all Game Connection Europe 2018 attendees. A custom banner in a highly visible position on the Game Connection matchmaking system. 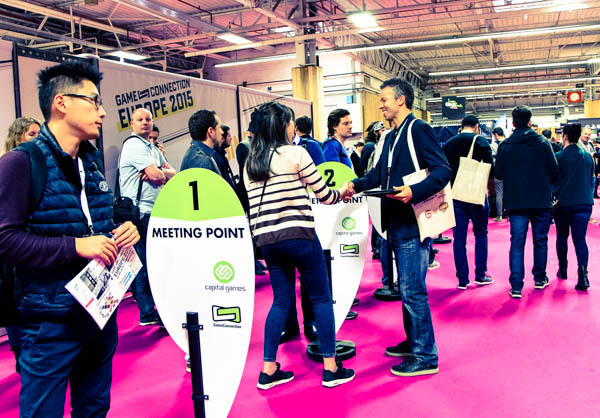 Your banner will be seen for the entire month before the event by over 2,700 senior level professionals in the video games industry as they use Let’s Meet to find potential partners and service providers to meet with at Game Connection Europe 2018. Your banner will be viewed, on average, 15,000 times. The Central Bar is where everyone gathers throughout the day to help themselves to refreshments and to unwind after meetings. 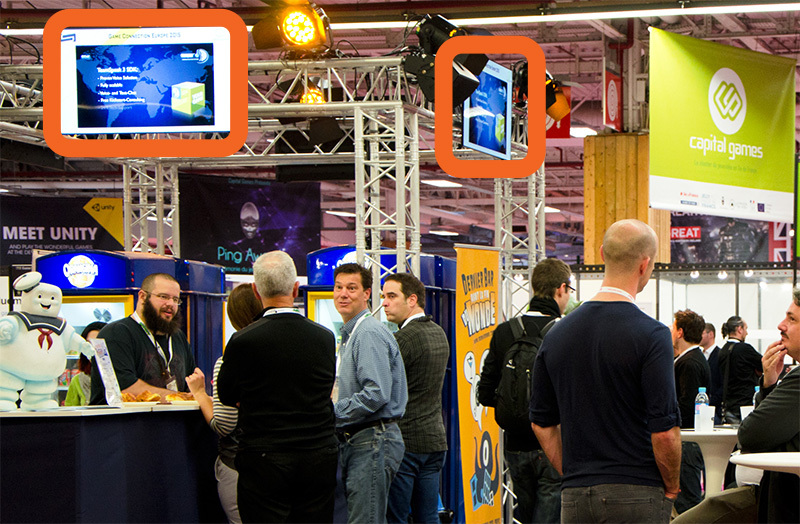 Your company will be highly visible to all 2,700+ visitors each and every day of the event between the hours of 9:00 – 18:00. A trailer of your choice will be looped all day (from 9:00am to 6:00pm) on the screens above the central bar. Each trailer is looping all day, during 3 days. Maximum exposure in cocktail area where 2,700+ attendees gather throughout the day to unwind and network. Our attendees use the map to make their way around the show floor and find their meetings. By having your logo present on the map instead of just your stand number, you’ll be highly visible to all attendees everytime they use the map to find meetings and you’ll attract potential partners and prospects who haven’t organized a meeting with you in advance to pass by your booth to arrange a meeting. The meeting points are the central meeting hubs for our 2,700+ attendees. Throughout the 3 days, they gather at these points to wait for their prearranged meetings. Your logo will be 1 of 2 logos on the meeting points. 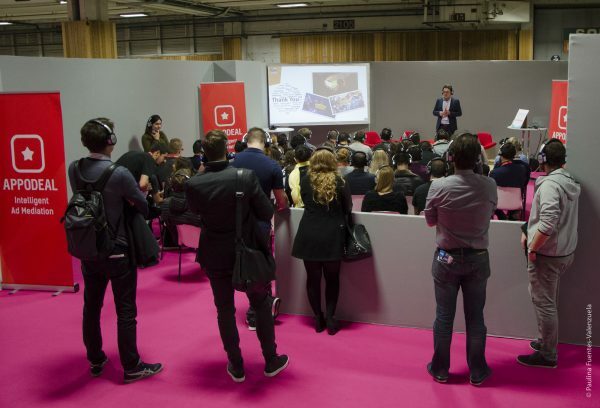 Promote your company in the show guide that will be handed to every attendees during the show. 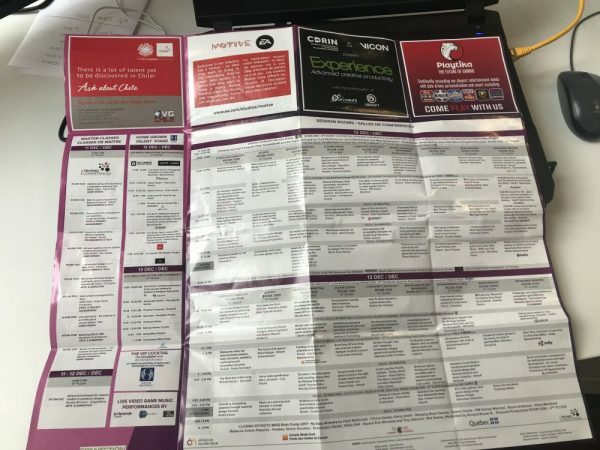 The show guide includes the map of the event, the conference program and useful information. 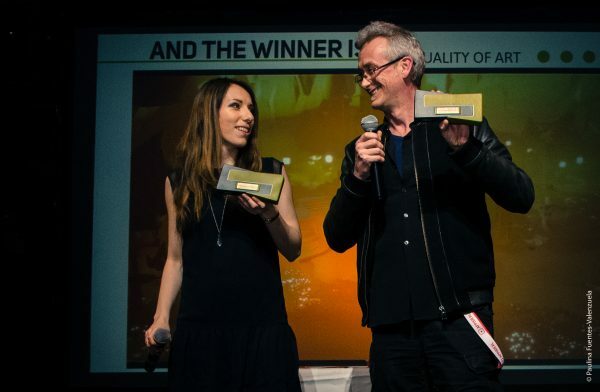 The Game Connection Development Awards celebrate the most innovative and creative projects over the last year. By sponsoring them, you get to position your company in front of not only developers who are at various stage of developing their games but also demonstrate your support for the indie scene. As a sponsor of the awards, your company will be promoted during every communication before, during and after the awards ceremony to our database of 36,000 senior decision makers. Our conferences are an opportunity for you to be the only service provider in front of a group of professionals (all of whom are in charge of buying in their company) who are searching for solutions to problems that you can solve. In each track there are an average of 6 sessions. 3 pull up banners (production not included).